We all know by now (I hope!) that we should be supplementing Vitamin B-12 as vegans. But for a long time, I assumed that B-12 was all I would ever need to supplement. I get everything else I need from whole foods and sunshine, right? After my latest blood test, I learned that I had plenty of B-12 but I was extremely deficient in vitamin D. And guess what? So were my husband and my mom…despite all of us living in sunny California. It turns out a huge percentage of the population is vitamin D deficient. But there’s this unfortunate social stigma attached to taking vitamins in the plant-based community. Friends, there is no shame in taking a supplement to make sure your nutritional needs are covered. And to help drive that point home, we’ve brought vegan Registered Dietitian Taylor Wolfram RD here to talk about vitamin D in collaboration with Naturelo, the brand I turned to for my vegan vitamin D supplements. What Do I Need to Know About Vitamin D? If you’ve ever wondered if you need to take a vitamin D supplement, you’re not alone. It is true that we actually don’t know the optimal vitamin D levels for humans. And while there is conflicting evidence as to whether or not vitamin D supplements are helpful, the short answer is: if you have trouble meeting your vitamin D intake, you should consider taking a supplement. 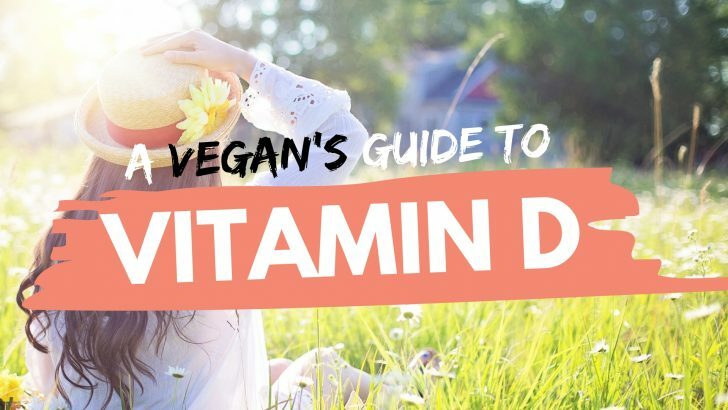 I’m a vegan dietitian and even I run into vitamin D deficiency more often than I’d like. I make a point to see my health care provider for my yearly physical and blood work in the early spring to see how my vitamin D levels are faring after the long, dreary Chicago winter. Truth be told, I slack at taking my vitamin D supplement as often as I should! It’s a habit I’m working on and it’s one you might need to work on, too. Technically a hormone, vitamin D serves many functions in the human body. Its most well-known role is aiding in calcium absorption and therefore supporting good bone health. When vitamin D is in short supply, bones become brittle and rickets can occur. Vitamin D also is active in cell growth, immune function and mediating inflammation in the body. Needless to say, it’s an important vitamin! Vitamin D is commonly referred to as the “sunshine vitamin.” But sunlight does not contain vitamin D. Rather, ultraviolet (UV) rays activate a compound in our skin that later becomes vitamin D after it travels to the liver and the kidneys. Theoretically, one could meet their vitamin D needs from exposure to sunshine alone, but in today’s world, this is not realistic (or safe) for most individuals. Many people need to consume vitamin D through natural food sources, fortified foods, and/or dietary supplements to meet their optimal nutritional needs. These factors all affect the amount of vitamin D our bodies make from sun exposure. That’s why it’s impossible to make a single blanket recommendation for the amount of sun exposure needed to get enough vitamin D.
Does Sunlight Through a Window Count? For all those wondering: no, your body cannot make vitamin D from sun that is passing through glass (such as a window) before it gets to you. So those moments in your car when the sun is beating down on you through the window? They sadly don’t count toward your vitamin D.
Plus, there’s more to consider. While the sun can be good for some things, it also can cause damage to our skin and eyes and increase our risk for skin cancer. It’s a good idea to limit sun exposure and wear protective clothing and sunscreen when in the sun—which in turn makes it harder to meet our vitamin D requirements from sunshine alone. Where Else Can I Get Vitamin D? Vitamin D is a fat-soluble vitamin that is not found in many foods, vegan or otherwise. The best natural “dietary” sources of vitamin D are fatty fish flesh and liver. But these meats also come with a whole host of things you don’t want in your body, and when we’re talking about fish, possibly even mercury and microplastics. What about cow’s milk? Cow’s milk, while often touted as a good source, doesn’t naturally contain vitamin D. Cow’s milk is fortified with it (just like many plant-based milks). What’s the difference? Vitamin D3 is usually animal-derived and vitamin D2 is the plant-derived form. However, there are some plant-derived forms of vitamin D3 now (such as vitamin D3 from lichen). Which Is Better—vitamin D2 or D3? Contrary to popular belief, there is not enough research to conclude that one form is preferable to the other in terms of bioavailability. Do Vegan Foods & Beverages Contain Vitamin D? The only natural vegan food sources of vitamin D are mushrooms grown under UV light. You can’t assume that all mushrooms contain vitamin D as most mushrooms are grown in the dark. If store-bought mushrooms do contain vitamin D, it should say so on the label. The other vegan options for vitamin D are fortified foods and beverages including plant-based milks. Note that most vitamin D3, the most common form used in fortification in foods such as breakfast cereals, is not vegan. Vitamin D3 often comes from something called “lanolin,” which is extracted from the wool of sheep. If food or beverages are supplemented with a vegan form of vitamin D, (unless specified—it will usually say that it’s derived from lichen, which is similar to a mushroom. There is evidence that 1,000 IU per day may be what most adults need. Some professional organizations have even higher recommendations. For instance, The Endocrine Society recommends 1,500 to 2,000 IU per day for adults and the Vitamin D Council recommends 5,000 IU per day for adults. Talk to your health care provider about your individual vitamin D needs. Are Vegans at Increased Risk for Vitamin D Deficiency? Yes. People who are vegan, lactose intolerant or who have a milk allergy are at increased risk of vitamin D deficiency. This makes sense as fortified cow’s milk is a significant source of vitamin D for many people living in the United States. But vegans aren’t the only ones who may have trouble keeping their vitamin D levels within a normal range. Breastfed infants, older adults, people with limited sun exposure, people with dark skin and people with inflammatory bowel disease all are at increased risk of vitamin D deficiency. If you have trouble getting enough vitamin D through natural and fortified foods and sun exposure, which most of us do, then it’s a good idea to consider a vitamin D supplement. How do you know if you’re getting enough vitamin D? Make an appointment with your health care provider and tell them you’d like your vitamin D level checked. If your results are low, they will recommend a supplement. Be sure to ask for the dosage (amount) and duration (for how long) of the supplement, and when you should come back to have your levels re-tested. But beware, most prescribed vitamin D supplements are not vegan. The vitamin D your doctor prescribes will likely be sourced from animals (such as lanolin from sheep’s wool) and may also be served up in gelatin capsules. Gelatin is not vegan (or even vegetarian), as it’s made from boiled animal skin and bones. See if your doctor can point you toward a vegan option. This may be the first time they’ve ever had such a request, so be equipped with some knowledge to help educate them about vegan vitamin D supplement options. Naturelo offers premium quality vitamin D supplements that are completely vegan and made in the United States. Their plant-based vitamin D supplement is sourced from wild-harvested lichen. The supplement contains 2,500 IU vitamin D in one vegetable-based capsule. Naturelo also makes multivitamin/minerals for men and women with 800 to 1,000 IU plant-based vitamin D. And for those who are trying to get pregnant, expecting, or breastfeeding, they’ve got prenatal and postnatal multivitamins with 800 IU plant-based vitamin D.
Some people may take a daily multivitamin that supplies all the vitamin D they need while others may need a stand-alone or additional vitamin D supplement. Talk to your health care provider about the best option for you. Holick MF, Binkley NC, Bischoff-Ferrari HA et al. Evaluation, Treatment, and Prevention of Vitamin D Deficiency: an Endocrine Society Clinical Practice Guideline. J Clin Endocrinol Metab. 2011;96(7):1911-1930. How do I get the vitamin D my body needs? Vitamin D Council. Accessed March 19, 2019. Vitamin D Deficiency. MedlinePlus. NIH U.S. National Library of Medicine. Accessed March 18, 2019. Vitamin D Fact Sheet for Health Professionals. NIH Office of Dietary Supplements. Updated November 9, 2018. Accessed March 18, 2019. This article was written by Taylor Wolfram RD for World of Vegan. Cover photo from Canva.com designed by Michelle Cehn. The information presented here is not to be construed as medical advice or used to diagnose, treat, cure or prevent any condition or disease. Please note that this article contains affiliate links which help us keep regular content coming to life here at World of Vegan. Many thanks to Naturelo for supporting this article and our work at World of Vegan!